So, on there (if you check out the pictures) — you can clearly see that they are (in their words) the “Foundation of the Decentralized Web”. There are two keywords that I honed in on out of that description, which were ‘free’ and ‘fair’ with regard to the internet itself. That’s a very bold claim, and I’m curious to see how they can bring that goal into fruition. There is a video on the site that seems to be there to add more clarification to this idea, so I clicked on it and watched it. The video starts off with a guy talking (not sure who it is), the video doesn’t say. 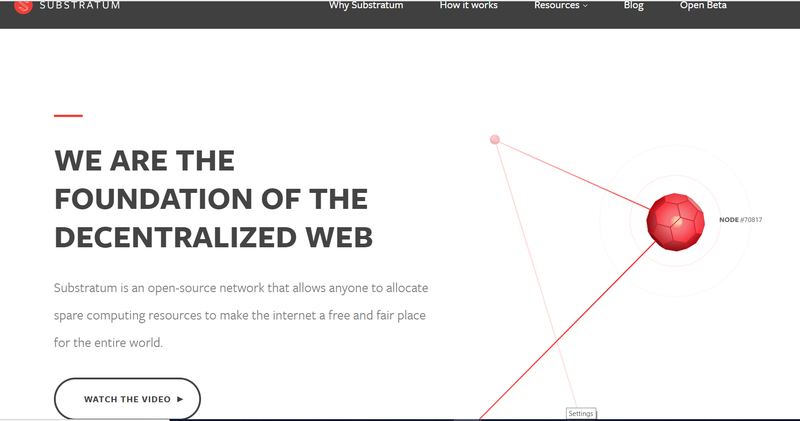 He reiterates the contents of the homepage about Substratum allegedly being the ‘foundation’ of the decentralized internet. He then begins listing off three ‘pros’ to Substratum versus alternative options. #1 — He mentions China and Russia’s restrictions on the internet, creating an environment where only VPN and TOR users are able to “safely” browse the web without facing penalties+restrictions. He notes that this requires some sort of extra ‘software’ or upload (although there are plenty of web-based VPNs out there) that can do the SSH tunneling for you. He states that the advantage of $SUB is that there is “no extra software that is necessary” and that people can just “open their browser and start browsing”, which is interesting — we’ll have to analyze this a bit further down the line in this article. He states that anyone can earn Substrate by turning their node into a host. This enables individuals to “make money while [you] sleep”. Essentially, from what I’m hearing and seeing so far, it looks like $SUB’s idea is to tokenize the creation of a mesh network, which is not a bad idea on its face. I’d have to see a bit more about how this network works and what the underlying technical structure of it really is. This really is more like a 2a than a 3, but I won’t nitpick here. Essentially, he expands on the idea in #2 of individuals turning their computers/connectivity into a “host” for internet activity and being rewarded/paid in $SUB as something that can be done without having to actively be at the computer. I am not stating these considerations as reason that the project will “fail”. Just wanted to make that clear, because there’s often a gravy train of hate that comes my way whenever I do not ubiquitously worship projects in a review. The idea that VPNs and TOR browsers require additional software is a legitimate one. However, it is more than likely that the individuals that are seeking those resources have no problem with using said resources in order to access the internet if that is their true desire. It goes without saying the inherent value of web access, and for some people, like political prisoners/spies/those seeking asylum, internet access is potentially a matter of life and death for them. So, the ‘hassle’ of downloading software is a bit overstated in my opinion. With that being said, without me knowing just how much more convenient it is to use $SUB versus these methods, I cannot necessarily gauge which one is “easier”. On a basic level, one must at least do something in order to access the $SUB network and connect to a node. Now, I may not need to necessary download software, but I will need to take comparable steps in order to use $SUB. I’m assuming, on the most fundamental level at least, that I need to access the website/network/protocol of $SUB, which is going to require some sort of searching at the very least and then become a part of that network in some way. Perhaps I am wrong about this, but this seems like a given. And in that case, it is hard to argue that connecting to $SUB’s protocol is inherently easier than ‘downloading software’ to use a VPN/proxy/TOR browser. I would imagine that any experienced/knowledgeable user that is utilizing those resources would also want to do at least a surface level of research (like they would w a VPN), to ensure that they are using the most encrypted connection possible. For example, OpenVPN is the standard now for centralized VPNs. Thus, those that know this will specifically seek out VPN protocols that use this encryption standard. The idea that ‘everyone is a web host’ is something that definitely intrigues me. However, the concern here is how traceable someone could become under such a system/protocol. If you’re hosting a node, your connection is traceable, in it of itself. That’s what makes it uniquely different than a VPN, because that’s little more than a routing service with users that are connected to said network and the VPN itself is responsible for obfuscating the identity of any one specific user that’s on the network. Is there such a layer/protocol in place for $SUB to ensure that those that are on the network are not being exposed? In addition to that, is there a way that the information is sufficiently decentralized to the point where there will not be leakage? And is there any type of encryption of the information that one is submitting online that will allow this to function akin to a VPN? So far, I’ve only seen that $SUB will allow decentralized access to the internet. However, those that are in Russia and China, already have access to the internet. That’s not their issue; their issue is accessing certain content and/or being undetectable while doing so. So, unless there is a decentralized protocol that allows for a layer of privacy (i.e., a dVPN), I can’t necessarily see the inherent benefit of using $SUB (from what they have presented so far in the materials reviewed) over a VPN, and there appears to be an apparent deficit in using $SUB relative to the benefits that VPNs or TOR provide currently if there is no such protocol in place. This really falls slightly under concern #1, but what is the guarantee that one is connecting with a ‘friendly’ node on the network? In other words, what is to stop someone from altering their node status/software/code in such a way where they can read the transmissions that are going through them via this decentralized structure? Once again, unless the information is encrypted in some way, then I’m having a hard time seeing how this would solve the problem of circumventing censorship in a safe manner. Perhaps I am missing some things about $SUB in what little I have reviewed so far, but those are my premature/preliminary thoughts on this project. 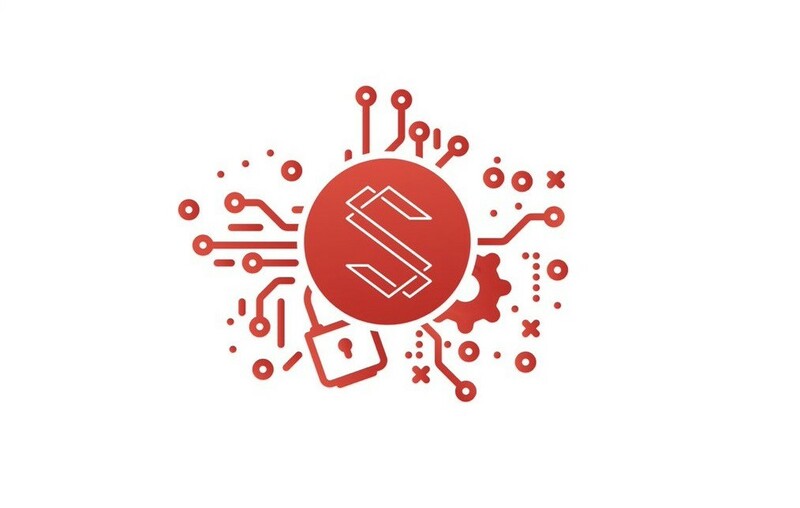 This is just part one of the Substratum project analysis! In the next part, we will be looking a bit closer at the mechanics that $SUB claims facilitates their project’s growth!